I continue to find inspiration through Eastern philosophy, meditation and mathematics; particularly in Zen Buddhism where opposites signify one another and where repetition of a thought, word or action is used as a tool for meditation. 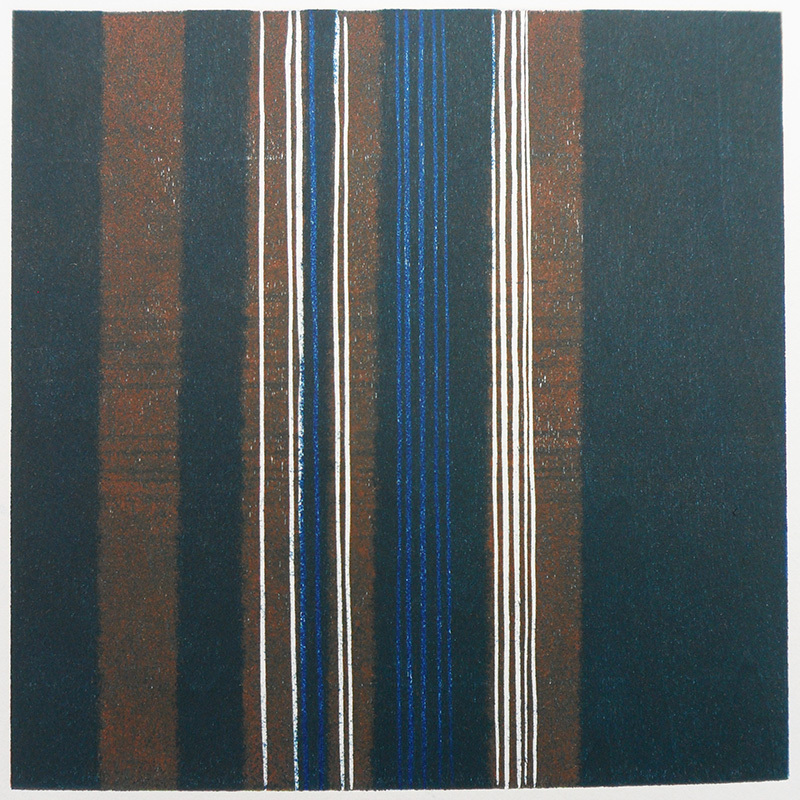 Repetition is a significant feature of my work whereby subtle changes occur within series of repetitive marks or shapes. 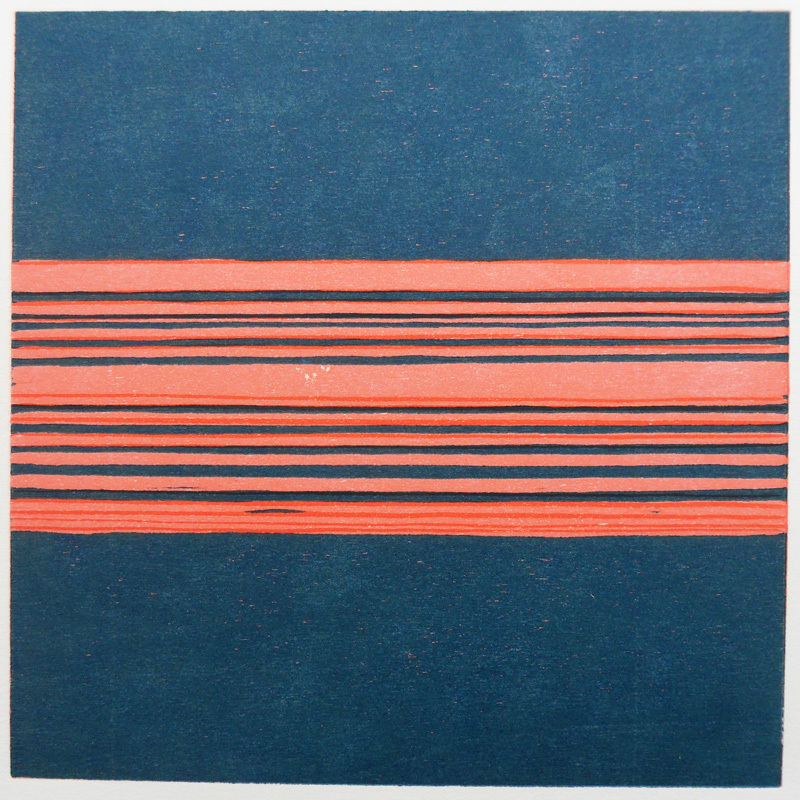 This year, horizontal and vertical lines have found their way back into my work. During the past year I have spent many peaceful hours walking along beaches, footpaths and lanes in Norfolk and Suffolk experiencing hot sandy beaches, glorious sunsets and the night sky as darkness falls. I have been influenced by the colours in the sky at sunrise and sunset, by the darkness of the night in areas unpolluted by street lights and by the shimmering heat haze across the afternoon beaches on the East Anglian coast. Eileen studied Fine Art at UCS in Ipswich and at Colchester School of Art. 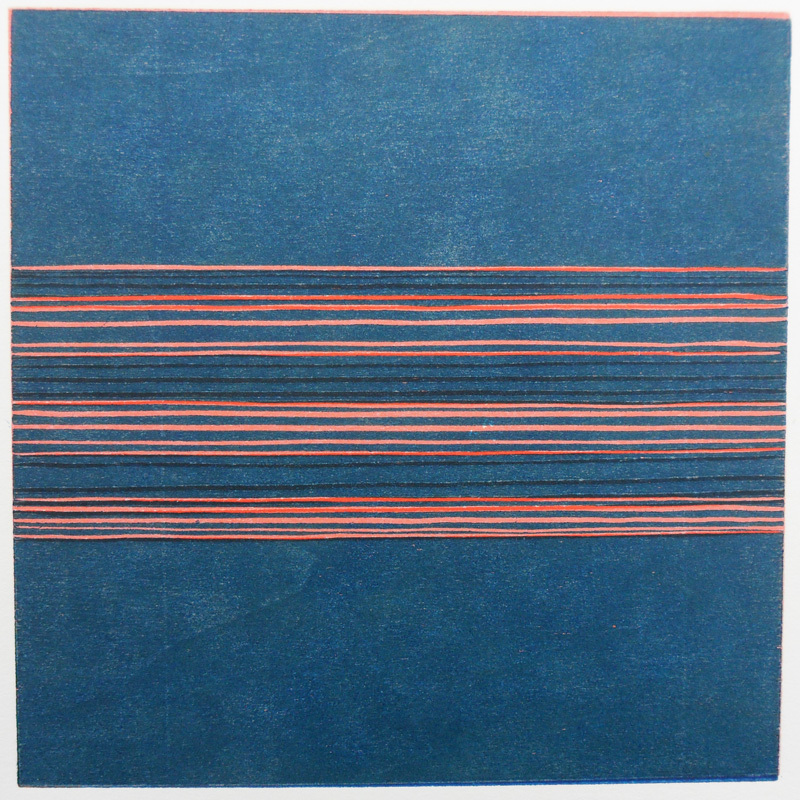 Following further study at Cambridge School of Art – ARU, Eileen was awarded an MA in Printmaking in 2012. Eileen is also a member of Sudbourne Park Printmakers.